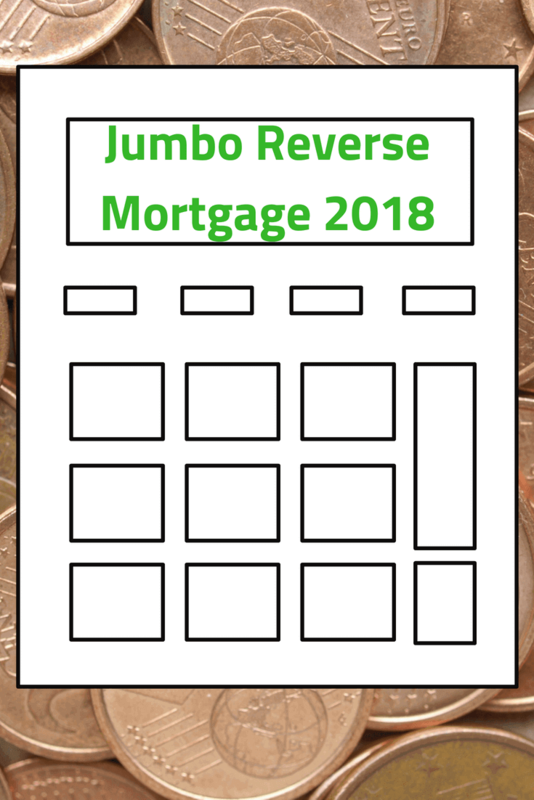 – If you’re considering a JUMBO reverse mortgage in 2018 and have a higher priced home, you may be in luck. 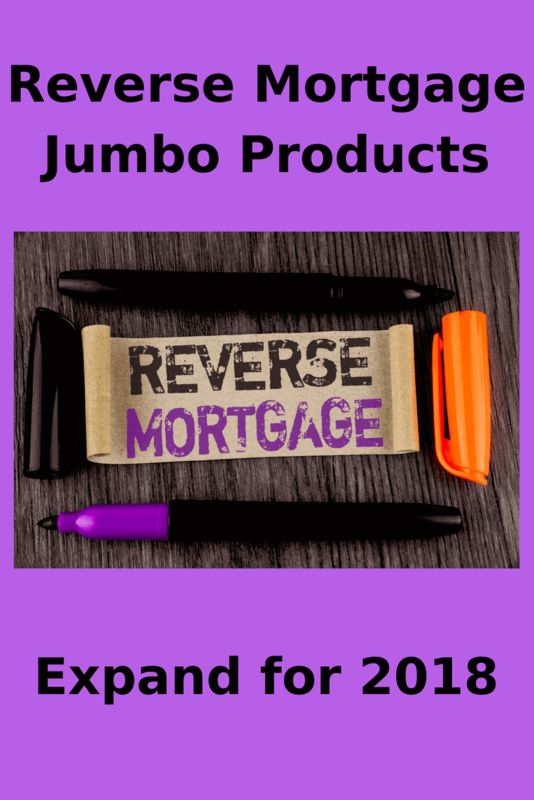 The reverse mortgage jumbo products recently expanded and will continue to expand in 2018. From about 2008 to 2014, there was really only one investor that offered a jumbo reverse mortgage. The investor was called Generations Mortgage. They allowed both brokers and other lenders to use their product. It was conservative in terms of how much you could borrow AND had a very high interest rate set at about 8.875%. In the second half of 2014 Generations stopped issuing new loans. At that time, a new investor entered the market with a product they called HomeSafe. Similar to the Generations jumbo reverse mortgage offering, it was conservative by nature. However, it did have a lower interest rate set around 6.99 – 7.5%. Just like the Generations Mortgage offering, the Homesafe could be originated by them direct, by brokers, and by other lenders. It didn’t really matter if you went direct with this investor or with a broker or with another lender offering it. The fee and interest rate structure were virtually the same. Pretty low interest rate at 5.99%. Modest origination charge that varies depending on loan amount (usually less than 1%). LTV (percentage of appraised value you can borrow) ranges from 24% to 48% of your appraised value. It moves upward on a sliding scale beginning at age 62 and ending at age 87 (you can do it for older folks, but they just get the same amount an 87 year old would get). Lump sum pay out is the only option. Spouses that are under age 62 are ok under certain circumstances (assuming the other spouse IS of age). Title and escrow or closing fees are similar to a regular loan. If the HomeSafe Save doesn’t provide enough to payoff your current loans, then the HomeSafe Standard might be your best option. Slightly higher interest rate vs HomeSave Save. HomeSafe Standard is set around 6.5%. No origination fee with this option. LTV range is slightly higher (percentage of appraised value you can borrow). It ranges from 27% to 51%. A lump sum pay out is the only option. Again, Spouses that are under age 62 are ok under certain circumstances (assuming the other spouse IS of age). 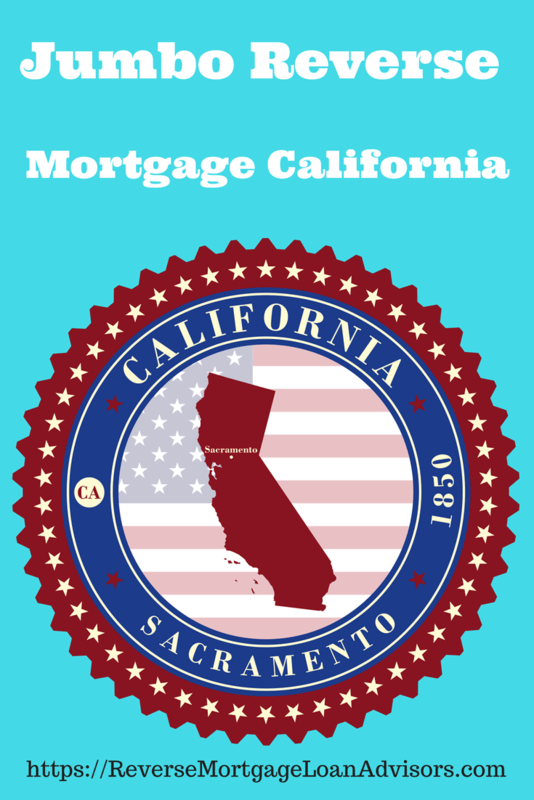 Again, title and escrow or closing fees are similar to a regular loan. If both the HomeSafe Save HomeSafe Standard are not sufficient enough to payoff your current loans, then the HomeSafe Plus may be an option. HomeSafe’s most aggressive LTV options. They range from 32% to 56%. Due to the more aggressive, riskier LTV options, it has a higher interest rate at around 7%. This option will have a higher origination charge at 1% of the appraised value. The only pay out option is a one time, lump sum. If none of the HomeSafe Options work for you, perhaps some of the new options (currently not released) will work for you. What Do We Know So Far About the Currently Unreleased Reverse Mortgage Jumbo Products? A different investor plan a release of a new proprietary / jumbo reverse mortgage in July of 2018. It will be available from the investor itself, brokers, and other lenders. It has a lower minimum age requirement of just 60 years old. They are targeting homes that are $700,000 plus in value and closing costs will be lower compared to the FHA version on higher end homes. That’s all we know for now. We’ll expand this section as soon as we have more information. Another investor will also introduce another proprietary product. At this time, we don’t have any info about this new product except that it’s slated to be launched this summer. HomeSafe will introduce a fourth option that allows for 5 disbursements (rather than one lump sump amount). This will be a good way to keep the compounding interest at bay. 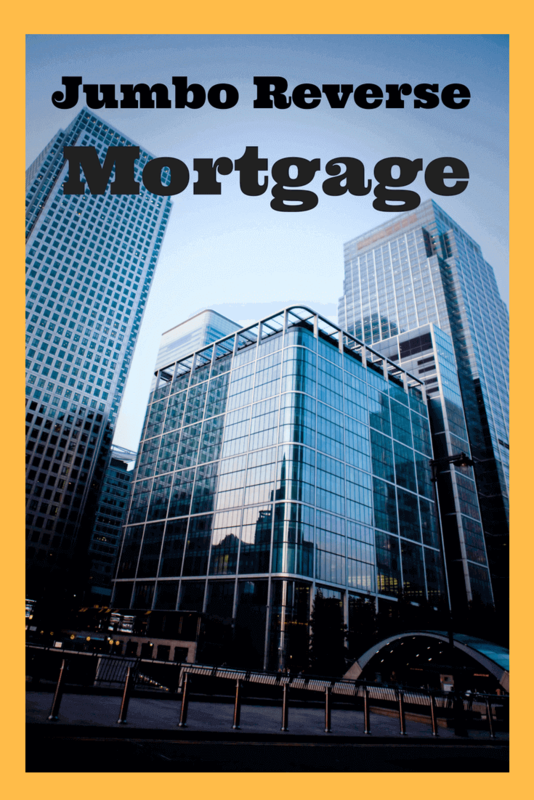 While late 2017 and early 2018 are challenging times in regard to the FHA reverse mortgage, they are exciting times for the reverse mortgage industry. For the last decade, the FHA option was really the only one along with ONE really conservative option wit HIGH interest rate. Now, we have numerous product releases and more are poised to hit the market soon.